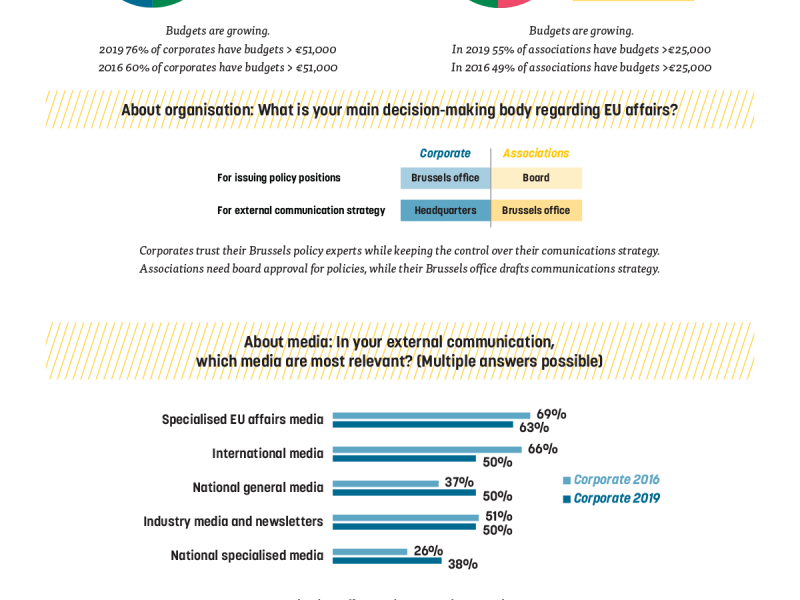 Specialised EU affairs media are still the most relevant for Brussels-based corporations and associations, according to a survey conducted by EURACTIV and EPACA. The importance of national media is also rising, compared to a 2016 survey. In October 2018 EURACTIV and European Public Affairs Consultancies’ Association (EPACA) circulated a survey among Brussels public affairs experts in order to understand the behaviour; synergies and differences between corporations and associations in their approach to various policy aspects. The same type of survey was conducted in 2016 by EURACTIV and the indicative results and trends were presented at the event on January 31, 2019. Could the increased importance of national media be linked to the upcoming European elections? After all, it is at the national level that things will heat up in the first half of Says Isabelle De Vinck, EPACA president. 2019, before they hit post-election Brussels. “More and more clients ask if we have the reach at national level, especially to their core markets,” says Isabelle De Vinck, EPACA president. “So it is making a link between what’s happening here in Brussels and reality in the national level. We need to have the strategy on both the EU and national level – it is more holistic approach,” she added. “In order to be effective in Brussels you need to have the outreach nationally and that includes media” said Nathalie Moll, European Federation of Pharmaceutical Industries and Associations (EFPIA) Director General. According the survey it seems that companies and associations both want to be more proactive in terms of their direct communication with journalists and facilitate access to their top representatives. Meetings, more meetings, then some calls and then lots of emails – these are the main direct communication tools for engaging with stakeholders for both corporations and associations. These are followed by publishing position papers, website updates, social media interaction and press releases. 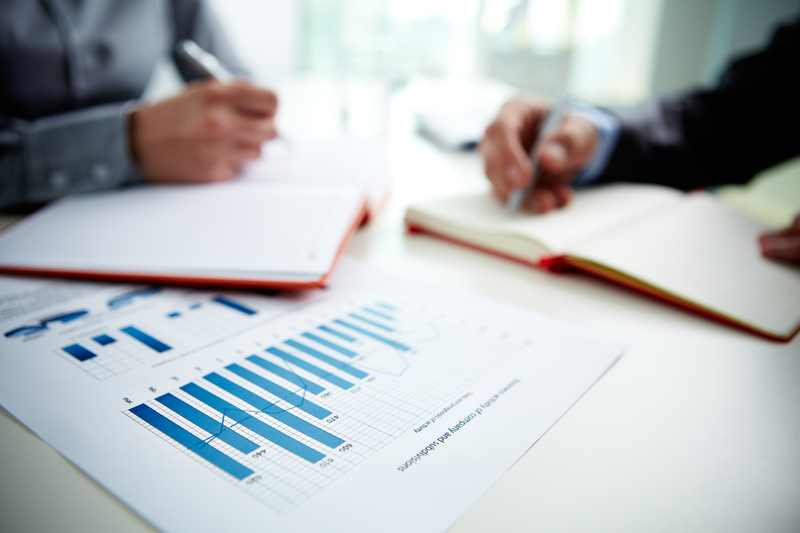 Annual budgets for communications are still substantial. More than 70% of corporations have budgets above €50.000 while over 50% of associations have budgets exceeding €25.000, according to the survey. There is good news for consultancies too – more than 50% of corporates have a fixed budget for their services, an increase from the 2016 survey. As expected, most of the associations have their budgets fixed for internal costs. Regarding the services provided by consultancies, ‘stakeholder mapping’ tops the ranking, followed by intelligence gathering for corporations and media relations for associations. Brussels is a lobbying place. The success of the Brussels office for corporations is mainly measured by their impact on legislation and recognition by top officials and politicians. Another important criterion is positive media coverage of their issues. The main value of industry associations in Brussels, lies in monitoring EU legislation, lobbying for and communicating about policy issues. As for the biggest challenges, it is mainly the complexity of their members, as well as recognition by the decision-makers. Corporations in Brussels typically have teams of up to five people, while one-third of associations have more than ten people in their Brussels offices. Nathalie Moll says that the leadership of industry associations has evolved in recent years. “The leadership of associations used to generally come from the corporate sector and now you are getting more and more specialists in the field, either scientists or lobbyists and I would say the leadership is very diverse. To me it seems that corporates are more interested in their associations then they used to be,” she says. Asked about their expectations for the European Parliament elections, the most common replies were “nationalism” and “polarity in the Parliament”. Moll offers a more optimistic perspective.